Will The Note Ban Make India Cashless? If executed well, a huge change in the transactional behavior of Indians is set to metamorphose the economy into a transparent one. 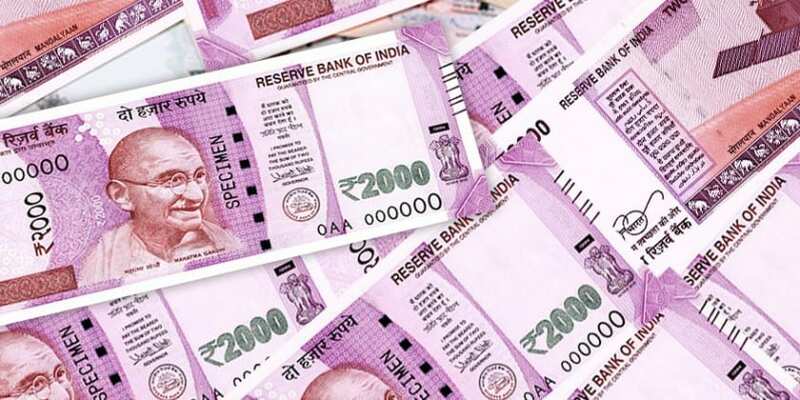 Narendra Modi government has banned the legal status of Rs 500 and Rs 1000 currency notes in a bid to curb the menace of black money and terror funding. This move is bound to shake up the whole economy and is going to affect directly those who have stashed cash illegally. We saw umpteenth examples where the banned notes were found floating in the rivers and dumped in the garbage cans. The move certainly left every Indian rattled and standing in queue that sanked out of the banks and ATMs across the country. Experts believe that it is a short term pain. In the long term, this move is expected to benefit Indians in more than one way. One of the biggest change, which is set to take place is in the transactional behavior of Indians. Overnight, the move forced most of the Indians – consumers and shopkeers – to think of cashless channels. Companies and startups whosoever played in the mobile payment space overnight got the Midas touch. Sudden spotlight shifted to likes of PayTM, FreeCharge, Mobikwik, Oxigen and other ewallets. These startups did not want to miss the opportunity and began their immediate campaigns to hog on the hype. Transactions went skyrocketing on most e-wallets or mobile wallets. While e-wallets became the talk of the town, cash crunch put at risk several banking systems. ATMs failed to dispense cash in the new currency against the demand.This happened despite the RBI Governor Urjit Patel’s assurance in a press conference when he said, “There will be no impact on the liquidity on the wholesale markets. If at all there is any, we’ll make sure that it’s addressed.” Its impact was visible in the first two weeks when people in cities suddenly turned to organized retail stories to buy things with their cards. Transactions using debit/credit cards began to fail in many retail stores. Severs were overstressed and hence failed. The banking was all of sudden put to test. Many banks including SBI, PNB, ICICI, and HDFC, etc assured consumers of seamless cashless operations. However, the reality was that banks did not expect overshooting transactions in the near future and there systems were not made to handle millions of transactions in few hours. The move has taught a great lesson to banks who needs to brace for cashless future and prepare their systems in advance. Many of the ATMs did not work due to software glitches. Recaliberation was the secondary challenge. It is probable that villagers might entirely not adopt cards or cashless measures. But many of them will begin to move though at a slow pace to using options such as ewallets and cards. Many villagers are using Internet-enabled smartphones. The note ban will thus directly encourage people to resort to cashless measures. Companies in the ewallet and financial technology space have begun an aggressive drive to educate people to adopt their solutions. PayTM has taken the lead. Airtel has launched a payment banking services in Rajasthan. After the RBI has increased the transcation limit on these ewallets, it is believed that retailers will encourage consumers to pay via their smartphones. The banks are also gearing up to compete with digital wallets. Many of them have rolled out their services. But it is good for them them to tie up with the existing ewallets because they have many ends to fix right now. They have to align to the new notes, do software changes and prepare their systems to handle millions of cashless transactions. Because of more cash in the digital form, chances of fake currency are expected to fade and minimize. In addition, the government will have the ability to keep a close watch on the tax evasion. Using big data and analytics, it would be easier for the government to sense any unlawful transactions and so track black money. “With the financial backbone that can collect information on all the financial activities also in place, Big Data Analytics can be extremely effective. It can easily spot unusual activities at any level of aggregation: regional, branch or even at individual level. It is the right time to deploy Big Data Analytics to make this detection of unwanted financial activities faster, easier and more targeted,” suggested Himanshu Gupta, Director of Strategic Accounts, Fuzzy Logix. In essence, challenges in the short term can augur well for the economy in the long run as experts see it as a promising move made by the government towards cashless economy. This will boost innovation in the electronic payment space. At the same time, this can bring down frauds and thefts. If executed well, the costs of doing transactions between buyers and sellers will lower significantly by 2019. Will The Note Ban Make India Cashless? 3.5 out of 5 based on 2 ratings. 2 user reviews. Will the Competition with Amazon Kill Flipkart?